Ruth Kainen, Washington, DC; gift 2005 to NGA. Cortissoz, Royal, and the Leonard Clayton Gallery. 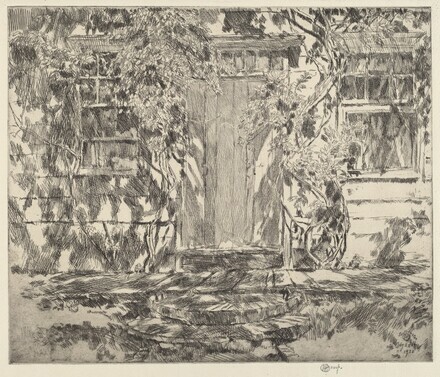 Catalogue of the Etchings and Dry-Points of Childe Hassam, N.A.. San Francisco, California: Alan Wofsy Fine Arts, 1989, pp. 109-10, no. 162.